Johan Hansson is the man behind the Swedish electropop project We The North. He calls his more classical sounding electro pop Nordic Noir. I doubt if that term makes sense. It does not sound like cheerful pop music but I would not dare to call it very dark. Rather somewhere in between. On this EP we hear four solid and well-developed songs and four remixes. The vocals are nice and fit perfectly with the genre and the music. Endemic is a rather slow and atmospheric track. Understand Me is a perfect single candidate. Lost Inside is an excellent opener with a beautiful chorus. Chrysalis is the firmest track on the EP. The remixes are pretty impressive. This is a very fine release in the electro genre. We hope to hear more of We The North in future. 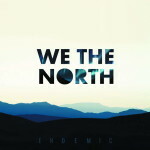 Share the post "We The North – Endemic EP | Review by Peek-a-boo magazine"